A ♥ before a link designates a Member Discount. To access these discounts and special offers, SSCA members must log in and go to the Discounts Page. Includes weather, warnings and climate information. Specialized marine weather services and tools designed to meet the needs of offshore cruisers. Continuous Tropical Storm tracking and updates throughout the season. Worldwide weather forecasts, weather services and education. 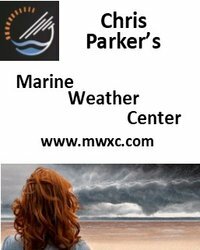 Weather forecasting services: legal weather consultation, education and local Maine weather forecasting. Custom Weather and routing information for small vessels in the Caribbean Sea, Bahamas and U.S. east coast prepared by Chris Parker via SSB, email, phone or fax. NHC maintains a continuous watch on tropical cyclones over the Atlantic, Caribbean, Gulf of Mexico, and the Eastern Pacific from May 15 through November 30. Professional global weather forecasting and routing services. 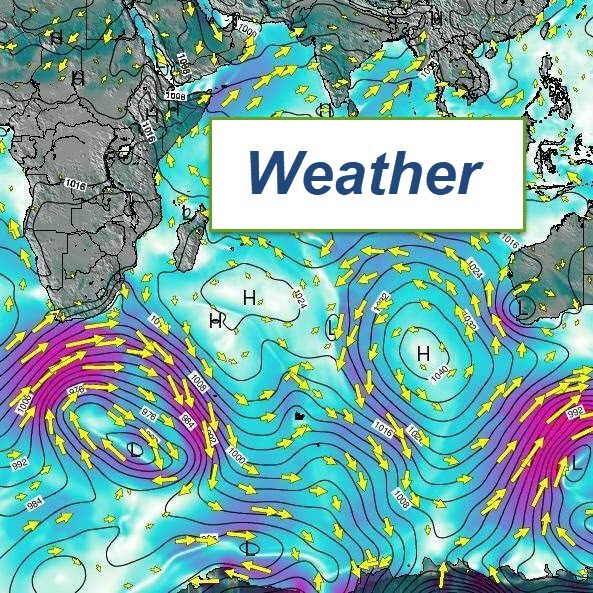 World-wide wind, wave and weather forecasts for sailors and adventurers. Weather Where You Sail. Get accurate speeds and direction in real-time mapping. Worldwide comprehensive weather site including marine and storm watch sections.